I was thinking about this blog while taking a morning walk. 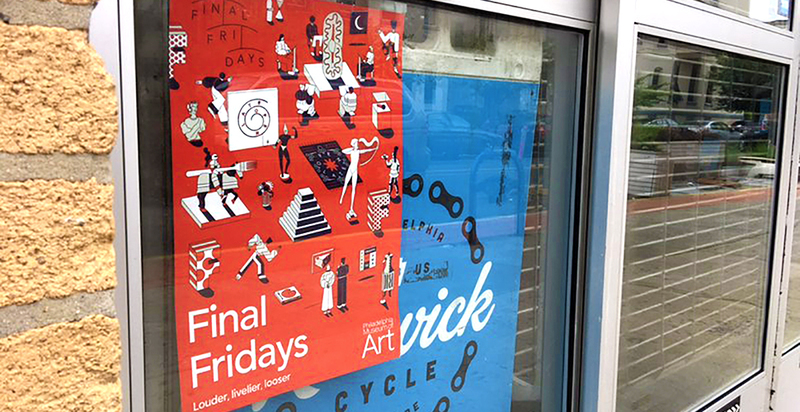 I passed a storefront with a vibrant flyer in the window. The flyer design was immediately recognizable as the work of the subject of this blog, Nate Harris. If you don’t know Nate by name, you have undoubtedly seen his work around Philadelphia. He is the kind of designer and artist that is so fluent in his own style and so prolific in this city that his work is almost immediately iconic as a part of the visual fabric. His work has adorned local beer cans, retail stores, art museum promotions, book covers, skateboards, etc. 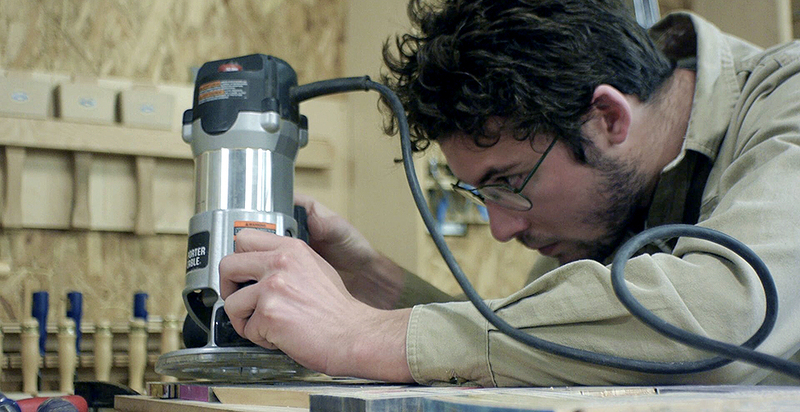 I first met Nate when he came in to NextFab to work with the marketing team to help promote the North Philadelphia location, shortly after its opening. 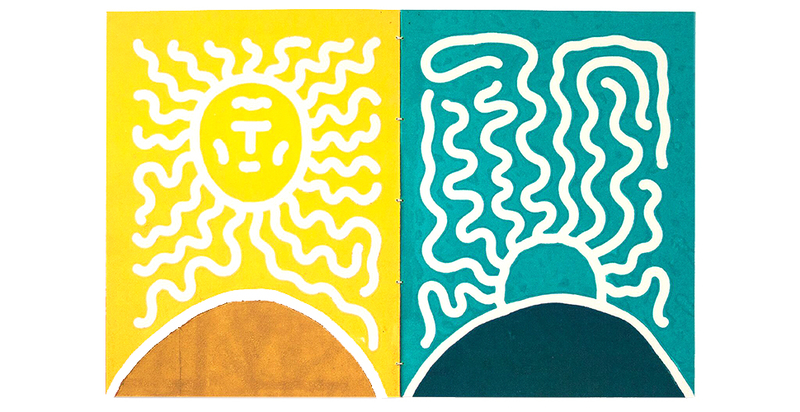 His work was fantastic; playful and charming, fluid in it’s form, but executed with precision. It was fun meeting with him at NextFab. Every meeting seemed to end with a conversation about a process or machine or a scrap of wood that inspired him. He has been very prolific in the years since, applying shop processes to his graphic work. 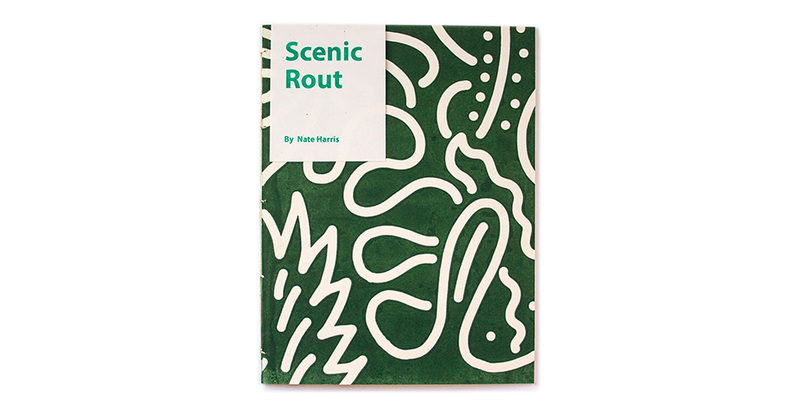 Nate has just finished a limited edition book project titled “Scenic Rout.” The title is a reference to the process of creating and printing the book. 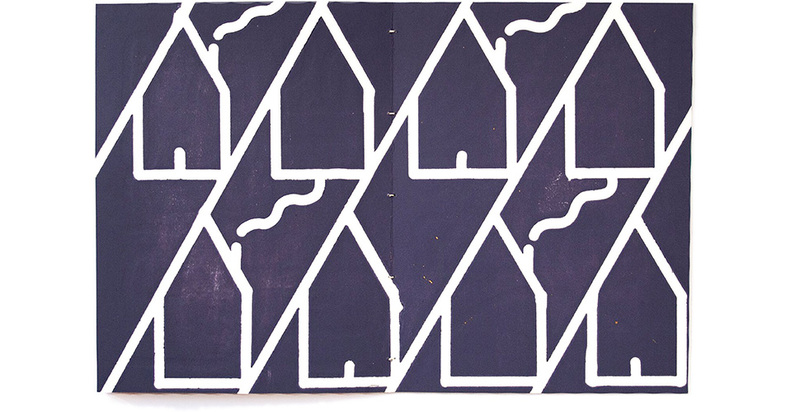 He illustrated a design onto plywood panels and traced over that design with a router. Then, using the router http://buyneurontinonlinehere.com cuts as a relief, he inked the panels and ran them through a printing press. 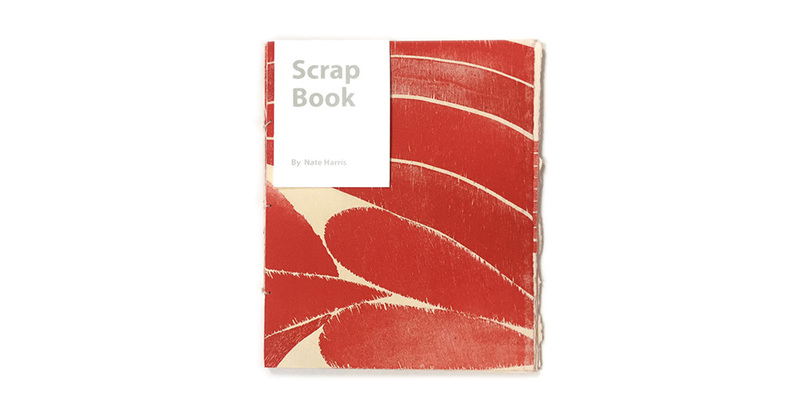 Scenic Rout was a refinement of a process that Nate developed with another book project, titled “Scrap Book.” Scrap Book was printed using scraps from Nate’s wood bin. 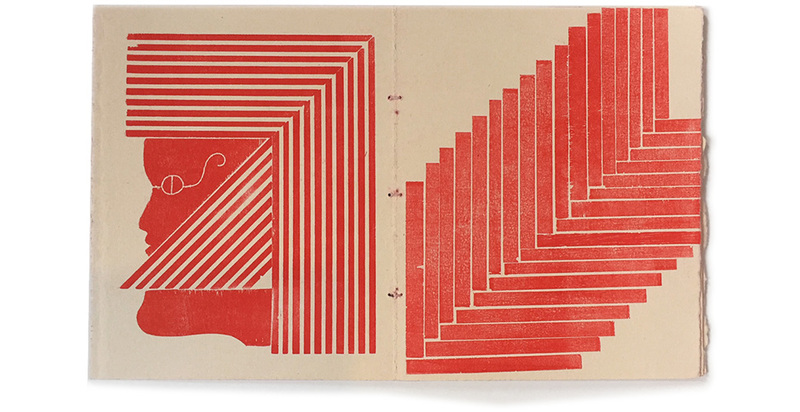 The scraps were assembled into print blocks, inked and printed on a press. 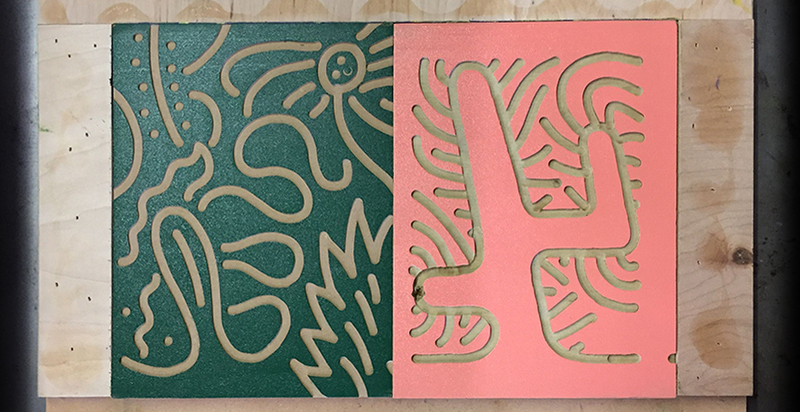 Nate’s direct, analog printing process was also utilized to great effect in a project for Spectrum Skateboard Co. 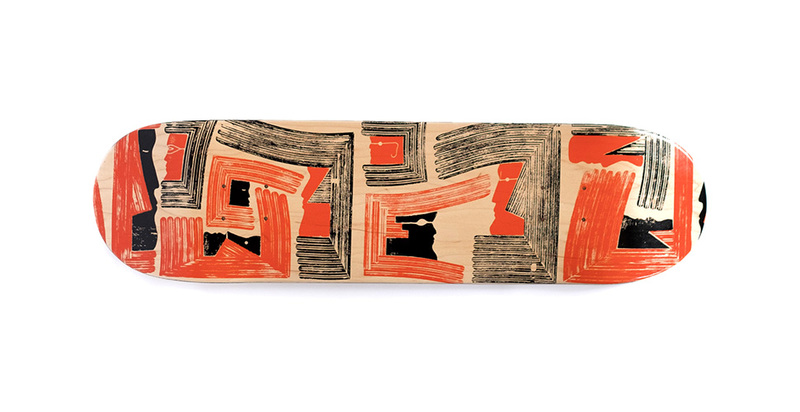 He used old skateboards and cut them into strips, using the laminated layers to create texture in the print and augmented them with carvings of his distinctive characters. Nate will be doing a residency at KOP gallery in Antwerp, Belgium from June 19th to June 29th culminating in a show of his work opening June 30th. Interested in seeing more projects that are being made at NextFab? Explore the hashtag #nextfabmade on Instagram.